Home Investor Education How to Start SIP Investment for Beginners in India? How to Start SIP Investment for Beginners in India? SIP Meaning Systematic Investment Plan is a term that is searched quite frequently on Google. 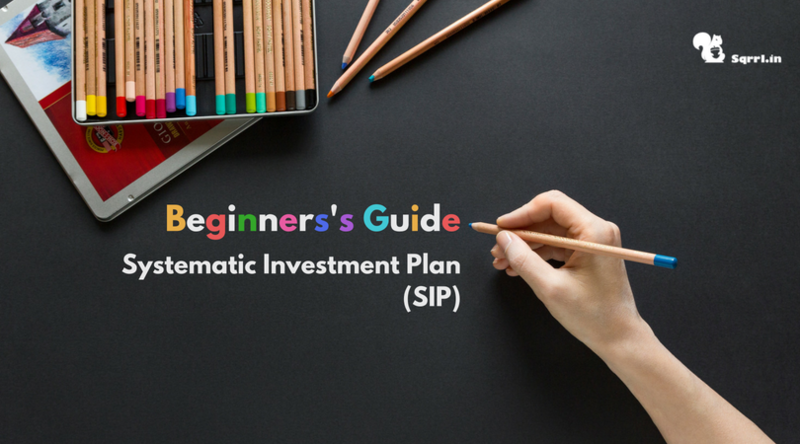 A lot of investors, including people who have already invested in monthly SIPs, have a lot of queries about Sip Calculator, what SIPs are, how they work and how to invest in SIPs. So, we’ve built this quick and easy to read guide to SIPs that contains all you need to know about SIPs. You can use SIPs to create long-term wealth, and this is all you need to know about them. Why should one invest in a SIP? How much money do I need to start a SIP? What are the different types of SIPs? How to select the Best SIP Mutual funds for my SIP investment? What is the best SIP plans in India? Comparison of SIPs with RD. SIP refers to the Systematic Investment Plan which is a mode of investing in mutual funds in a systematic and regular manner. A Systematic Investment Plan allows an investor to invest a fixed amount regularly in a mutual fund scheme, typically an equity mutual fund scheme. Here is a complete guide to understanding and investing in mutual funds. A SIP enforces a disciplined approach towards investing and infuses regular saving habits. 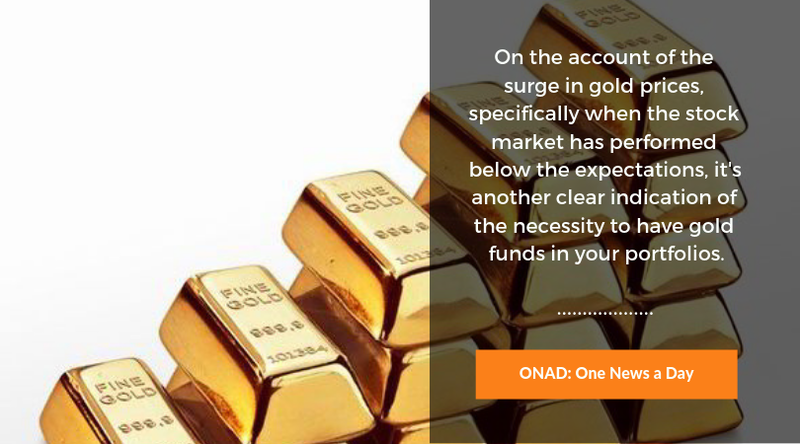 It is quite similar to an investment in a recurring deposit (RD) with a bank, where you deposit a fixed sum of money (into your recurring deposit account). The main difference here is that your money is invested in a mutual fund scheme (equity schemes and/or debt schemes) and not in a bank deposit, and hence the investments (in mutual funds) are subject to market risk. Why should one invest in a SIPs? 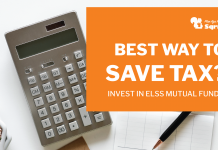 For an individual investor, SIPs are often the easiest and most convenient way to go about saving for your future and Income tax saving. Not only does it add a sense of financial discipline to your life, but also helps you invest regularly without having to worry about the state of the market, index levels, etc. For instance, if you need to put a fixed amount in a bank RD, or even a mutual fund scheme, you need to devote time and effort to do it. You might have doubts about the market conditions or might want to invest more if you have a surplus lying around. SIPs put an end to all of these predicaments. The money is automatically invested regularly, without any effort on your part. Not too heavy on your wallet. Investing in a SIP enables you to invest smaller amounts at regular intervals. You can invest daily, monthly and even quarterly. By reducing the burden of investing a lump-sum, you allow yourself to save more by regularly investing, even if it is a smaller amount. If you cannot invest Rs 5,000 in one shot, that’s not a huge stumbling block, you can simply take the SIP route and trigger the mutual fund investment with as low as Rs 500 per month. Rupee-cost averaging allows you to balance out the average cost of your investment. When other investors are getting wary and exiting the market, a SIP infuses a discipline within you that makes you commit cash at market lows, and helps you maximize the return on your investment. When you invest over a long period and earn returns on the returns earned by your investment, your money would start compounding. This helps you to build a large corpus that help you to achieve your long-term financial goals with regular small investments. You can effectively achieve your financial goals by enrolling for SIPs. The earlier you start the better it is. Many investors seek to invest in equity markets to make short-term gains and achieve their goals and ignore equity as a means for long-term wealth creation. How much money do I need to start a Best SIP Plans in India? You can start by investing in a mutual fund scheme via SIP with a minimum of Rs 500. Thereafter, you need to pick the mutual funds you want to invest your SIP in, and also pick the duration of an instalment that you want to go for, weekly, monthly, or quarterly. 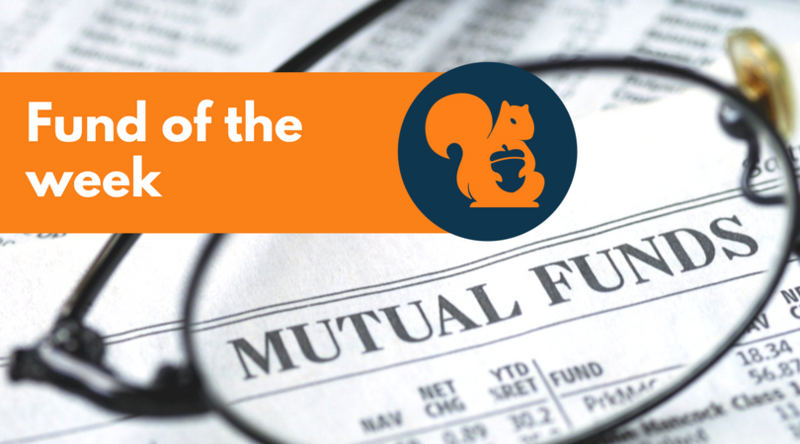 To suit the needs of investors, Mutual Funds have evolved to offer different types of SIPs. There are essentially 4 types of Systematic Investment Plans. Top-up SIPs allow you to increase your SIP amount at regular intervals. 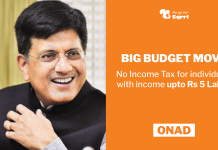 This enables you to take advantage of a mutual fund scheme that is performing well by increasing the amount of your contribution at regular intervals. Also, it facilitates the investor to invest a higher amount with a rise in his/her income. A Flexible SIP provides the facility to increase or decrease the SIP amount as per the cash flow of the investor. So, when an investor faces a cash crunch due to some reasons, he can skip payment of few SIP instalments till the financial situation returns to normal. Normally an investor signs up the SIP mandate for a fixed period of, say, 1 year, 3 years, 5 years and so on, but if the investor does not enter the end date in the SIP mandate, it is deemed to be a perpetual SIP. This leaves the option open for the investor to redeem the fund at the time of his choosing or when his financial goals are achieved. Trigger SIP is suitable for those with some knowledge and awareness of financial markets. An investor can set either an index level, NAV, event or a particular date to start this SIP. But this type of SIP is not desirable as it encourages speculation. 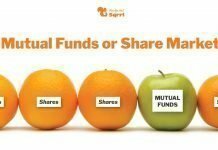 How to select the best SIP Mutual Fund for my SIP’s? Now a lot of people might believe that picking a mutual fund for their SIPs is as simple as checking the fund rating online and investing. But the fact remains that blindly trusting a star rating is not going to give you a complete picture, and especially, it will not be aligned with your financial plans and goals. This is why while one fund might be perfect for one investor, it might be completely useless for another, regardless of its performance. These are the various factors you must consider before you pick a mutual fund for your SIP investment. The past performance of a fund is important, but it is not everything since it can change in the future, and hence should not be the only factor for picking a mutual fund. Performance is a big heading that also has several different components to be considered. Comparison: In order to truly judge the performance of a fund, a prospective investor must compare the fund with its benchmark index and peers. Time period: For SIP it is important that investors have a long-term horizon (at least 3-5 years) to invest in equity funds. Hence, the long-term performance of the fund also becomes extremely important. Returns & Risk: Returns are the most important parameters that value a firm. Another important factor to be considered is the risk parameter. Ideally, the higher the risk, higher the returns. For SIP, investors should seek investment in funds that offer moderately high returns with a moderately high risk. Portfolio concentration: One should aim to have a balanced portfolio of stocks, bonds and debt funds to better allocate risks and earn standard results. The performance of the mutual fund is also highly dependent upon the people who manage the fund, especially the fund manager and the team. There are multiple costs associated while managing a mutual fund, namely expense ratio, entry load, exit load, etc. An investor should also keep in mind the expense ratio while picking a mutual fund to invest in. Also, the exit load is a fraction of your NAV, and you should keep a note while picking a mutual fund. An important debate that plagues the minds of avid investors is whether to pick a direct plan or a regular plan. An investor who is looking to make high returns over the long run should opt for the ‘direct plan’ since it can generate roughly anywhere between 0.5-1% higher returns, owing to the lower expense ratio. However, by opting for the direct plan, you will not be able to avail the services of a distributor, agent, relationship manager, and hence your research becomes important. What is the best SIP Plans? Surely you must by now understand that SIPs are a medium to invest in mutual funds, hence there is no answer to the question ‘What is the best SIP?’ this there is nothing like a ‘best SIP’. The thing that makes your Systematic Investment Plan the best for you is to optimize it in a way that it works best for you. Which means doing a proper research for your financial goals, and ensuring that the funds that you are investing in align with your investment requirements and investment horizon. This is a question that many people have in their mind when they are mulling over starting a SIP. They have a question whether a SIP is different and better than a bank Recurring Deposit account. The truth, however, is, that although bank RDs and post-office schemes used to be good saving options, it used to be because the rate of interests was high in the old days. However, now the interest rates on fixed deposits and recurring deposits are at a multi-year low. And besides, mutual funds SIPs offer multiple merits over RDs and are new and promising investment avenues. Young investors are turning to SIPs because it helps them achieve many of their financial goals, such as, buying a car, home, saving for their kid’s future education, etc. Even though RDs and SIPs both help inculcate the habit of discipline and regular savings in you, but before you choose between the two, you must keep into account your long-term financial well being, where merits like tax efficient and inflation-adjusted returns help you achieve those goals. How to start a SIP Investment? Now, on to the most important question, how does one actually start a SIP? Turns out you have only two options: offline and online. Select a mutual scheme that is best suited to your needs and investment objectives. 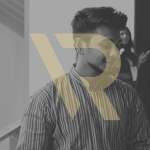 If KYC is not done, fill in the KYC form and get KYC verification done. Hand over the forms manually and to the RTA/AMC. You just have to do one simple thing, download the Sqrrl App and then follow the on-screen instructions. The benefit of doing an online SIP is that the process with Sqrrl is completely paperless and swift. Our app is designed to help all people invest, regardless of whether you have an intricate knowledge of mutual funds or not. Setting up a SIPs, or setting up a future investment like planning a vacation, retirement fund, etc. can be done with Sqrrl in minutes. And don’t you just take our word for it, we’ve got little demos of the app here, go through them and tell us what you think. A coffee drinker, and minimalist. Is Mutual funds investment a better option than investing directly in Share Markets? 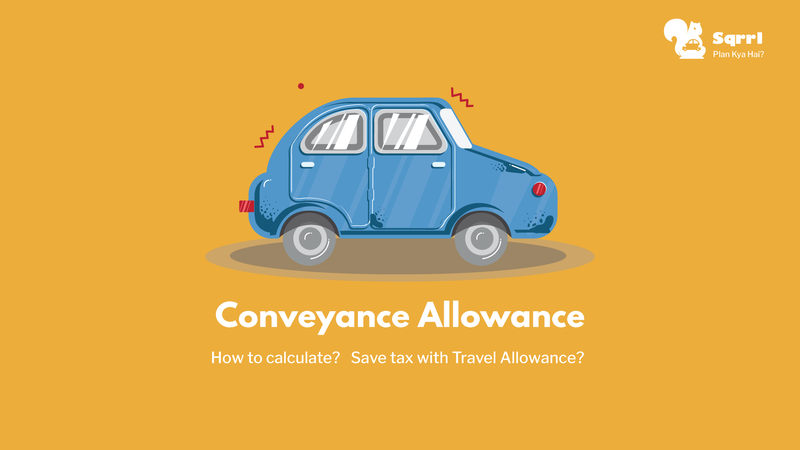 What is Conveyance / Transport Allowance & How to Get Exemptions for it?